Miley Cyrus brought back her long hair! Hanna Montana is that you? Miley Cyrus was snapped looking decidedly unlike herself last week, showing off her new long, honey blonde hair. But before you get too excited, we’re pretty sure the new do is just a temporary wig. Miley is in New York filming her part in a new Woody Allen series due to be released sometime this year. 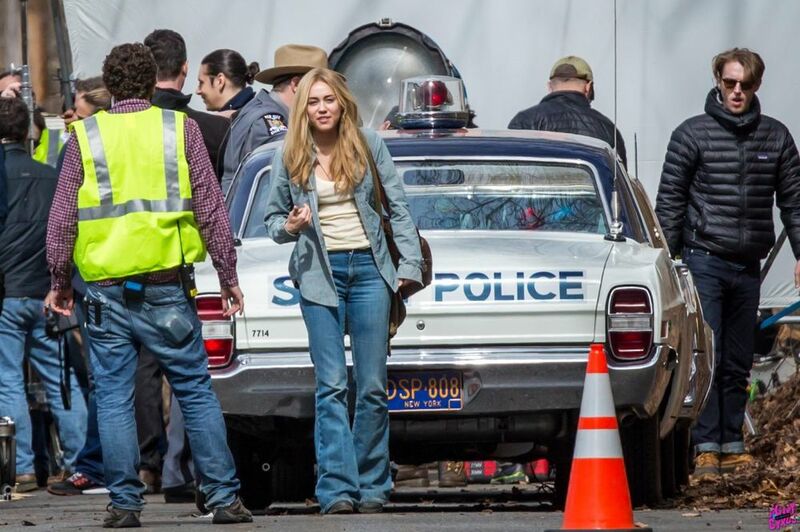 The series is based in the Woodstock era of the 1960s, and Mileys perfectly waved blonde locks fit the period to perfection. Whilst her look may remind us of the Miley of old, we’re pretty sure she isn’t planning on growing out her hair any time soon. She posted an Instagram wearing her long blonde wig to celebrate the 10th anniversary of Hannah Montana’s premiere last month. The Woody Allen project will be Miley’s first official return to television since her days at Disney, and is set to be released in six half-hour long episodes by Amazon. Producers and cast are being pretty tight-lipped about the series, but by the looks of these first pictures, it’s going to be epic.